I have to say, I went into the reading of this book expecting not to like it mainly because I am not a big fan of Devotionals/Christian study materials. I cannot stand being lumped into the same group as everyone else in America as though I were a non-individual following the crowd as they chase after the popular reading material of the time. That is just not me. I do not have a "one size fits all" Christianity but I have to say that I was pleasantly surprised! 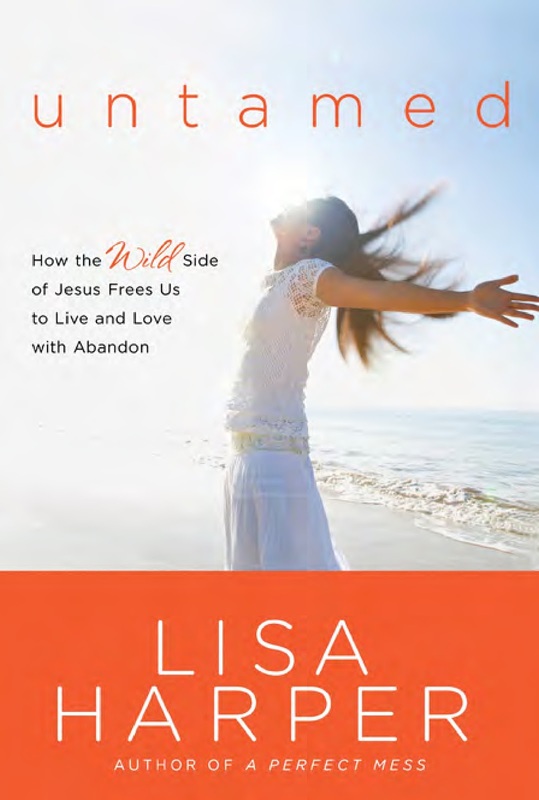 Lisa Harper wrote "Untamed" because she realized that the image of Jesus she had created while safe and easy to control was not strong enough to trust with the difficult parts of her life. "...the emasculated Redeemer of my imagination was shaped by my own fear and; insecurity.” "...until one day I realized that my squashed caricature of Jesus wasn't big enough to calm my anxiety or heal my wounds or defeat the wickedness in our world." Lisa Harper is not your conventional female spiritual leader. She talks about her Harley motorcycle, skiing, and tormenting cattle while still being girlie enough to enjoy a good tree swing. I have included an interview with Lisa as she talks about her personal discovery that her image of Jesus was less that what she needed. "Untamed" helps to free the reader from the watered down, politically correct and powerless Jesus that has been adopted into our culture today. There are twelve sections of this book each one dealing with a different wild side of Jesus from his wildly unconventional side to his wildly confident side. "Untamed" reintroduces us to the sides of our Savior that have made men uncomfortable for centuries. Another thing I was pleasantly surprised by was how often Lisa used scripture references in each chapter. I have always found it confusing how we can call some books Bible Studies when there is actually very little Bible contained in them. On average, Lisa invites her readers to dive into the Bible 15 times per chapter. Why does this matter? Bible studies can be a great tool to help you start thinking in a new direction or to grow in a certain area but only if they actually study the Bible. Without God's Word as the primary focus they are nothing more than self-help books and the world has plenty of these already. I also appreciated that fact that Lisa has taken the time to study Jewish culture and Biblical history and given her readers little tidbits sprinkled throughout each chapter. "Untamed" is for anyone who wrestles with real world hurts and struggles and needs a wild and courageous Savior to depend on.